Member of French Societies of Orthopedics Surgery, Arthroscopy and Sports Traumatology. A Â «Â new" knee ligament? Acromioclavicular dislocation clavicle: a retrospective study of 2 seasons of 8 professional club rugby. - Validity of GNRB arthrometer Compared To Telos ™ in the assessment of partial anterior cruciate ligament tears. Lefevre N, Y Bohu, JF Naouri, Klouche S, Herman S. Knee Surg Sports Traumatol Arthrosc. 2013 22 January. - Returning to sports after-surgical repair of acute proximal hamstring ruptures. Lefevre N, Y Bohu, JF Naouri, Klouche S, Herman S. Knee Surg Sports Traumatol Arthrosc. September 13 2012. - Technical Surgical for repair of acute proximal hamstring tears. Lefevre N, Y Bohu, Klouche S, Herman S. Orthop Surg Res Traumatol. 2012 Aug 24. - Clinical outcomes of open meniscal repair of horizontal meniscal tears in young patients. Pujol N, Y Bohu, Boisrenoult P Macdes A, P. Beaufils Knee Surg Sports Traumatol Arthrosc. 2012 Jun 14. - Return to judo after-seal replacement. Lefevre N, D Rousseau, Bohu Y, Klouche S, Herman S. Knee Surg Sports Traumatol Arthrosc. May 30, 2012. - Anterior Cruciate Ligament Rupture in women: Literature review. The anterior cruciate ligament rupture of osteoarthritis. Lefevre N, Y Bohu, S Klouche, Herman S .; Chapter 3; 39-47 pages; 2012 Elsevier Ltd.
- About partial ACL injuries. The anterior cruciate ligament rupture of osteoarthritis. Herman S, C Steltzlen, N Lefevre, Y Bohu, S .; Klouche Chapter 13; 139-151 pages; 2012 Elsevier Inc.
- Lesions of the anterior cruciate ligament in children. S. Herman, N. Lefevre, Y. Bohu. Journal of Sports Traumatology (2012) 29: 50-60. - L a torn anterior cruciate ligament: N. female characteristics. Lefevre, Y. Bohu, Cascua S., S. Herman. Journal of Sports Traumatology, 28 (2011) 24-30. -. The meniscus, P. Beaufil, H. Verdonk Ed Springler, 2010. - Surgical treatment of Achilles tendinopathy in athletes. Multicenter retrospective series of open surgery and endoscopic techniques. Burly Y, Lefevre N, Bauer T, Laffenetre O, Herman S, M Thaunat, Cucurulo T, JP Franceschi, Cermolacce C. Rolland E., Orthopedic Surgery and Traumatology Research. 2009 December; 95 (8 Suppl 1): s344-9. - Sports Medicine, Spine of rugby, Chap.60, p.391, H. Pascal-MOUSSELARD, Y. Bohu, E. Rolland, 4th Edition, P. Rochcongar, H. Monod. 2009. - Declining incidence of catastrophic cervical spine injuries in French rugby: 1996-2006. Y burly, Julia M, C Bagate, Peyrin JC, Colonna JP, Thoreux P, Pascal-Moussellard H. Am J Sports Med. 2009 Feb; 37 (2): 319-23. - Early failure of anterior bone block in multidirectional shoulder instability: a case report. Y burly, Khiami F, Rolland E, G Saillant, Rev Chir Orthop Catonné Y. Reparation on Appar Mot. 2008 Jun; 94 (4): 407-12. - Trauma of the cervical spine of rugby in France, Y. Bohu, Mr. Julia C. Bagate, BC Peyrin, P. Thoreux, H. Pascal-Moussellard, sports traumatology Journal, February 2008. - Mid-term Clinical Outcomes Of Arthroscopic Treatment Of Pigmented Villonodular Synovitis Of The Knee In 25 patients. Y Bohu, JC Auregan, N Lefevre, Klouche S, S Herman, P Hardy. - Validity Assessment Of Anterior Cruciate GNRB arthrometer In Ligament Tear. A Prospective Study Of 139 Patients. Klouche S, N Lefevre, Y Bohu, JF Naouri, S Herman. - Sensitivity And Specificity Of The Bell-Hammer Tear As An Indirect Partial Anterior Cruciate Sign Of Ligament Tears On Magnetic Resonance Imaging. Klouche S, N Lefevre, Y Bohu, JF Naouri, S Herman. - Clinical Evaluation Of A Continuous Series Of 55 Cases Of Anterior Cruciate Ligament Ligament Partial By The TLS Technique® (Short Hamstring Graft). N Lefevre, C Steltzlen, Y Bohu, S Herman. - Returning To Sports After Surgical Repair Of Acute Proximal Hamstring breaks. Lefevre N, Y Bohu, Klouche S, S Herman. - Reliability of the GNRB ® for measuring anterior knee laxity: comparison with Telos ™ in 114 knees. To post. Lefevre N, Y Bohu, S Herman. - Partial lesion of the anterior cruciate ligament: isolated rupture of the anteromedial or posterolateral bundle. A uncommon lesion? To post. Lefevre N, Y Bohu, S Herman. - Technical Three-dimensional magnetic resonance imaging MRI Cube of the diagnosis of partial ACL tears. To post. Lefevre N, Y Bohu, S Herman. - Anterior cruciate ligament injury During a noncontact accident: female particularity. To post. Lefevre N, Y Bohu, S Herman. - Clinical outcome of ACL partial rupture: short technical graft (TLS). A study of 55 consecutive cases. To post. Lefevre N, Y Bohu, S Herman. - Returning to sports after-surgical repair of acute proximal hamstring ruptures. Podium. Herman S, N Lefevre, Y Bohu, JF Naouri, S Klouche. - Partial tears of the anterior cruciate ligament: diagnostic performance of Isotropic 3D-FSE-Cube MRI. Podium. Herman S, N Lefevre, Y Bohu, JF Naouri, S Klouche. - Return to Judo after-seal replacement. To post. Lefevre N, Y Bohu, Klouche S, S Herman. - Shoulder Instability: the LATARJET Procedure: Open Arthroscopic gold? Podium. Herman S, N Lefevre, Y Bohu, S Klouche. - Back to rugby after a concussion: Prospective evaluation of a standardized management protocol in 35 high-level rugby players. JF Chermann, Y Bohu, A Savigny, Klouche S, N Lefevre, S Herman. - Results of surgical treatment of complex acute ligament injuries of the knee at a mean of 54 months and chronic at a mean of 30 months. A Gerometta, N Lefevre, Y Bohu, S Herman. - Repeatability inter- and intra-observer of a new method of standardized assessment scannographic positioning coracoïdiennes stops after Latarjet. N Graveleau Kraus T, Y Bohu, Klouche S, P Hardy. - Clinical evaluation of a continuous series of 55 cases of partial anterior cruciate ligament by TLS® technique (short graft hamstring). Steltzlen C, N Lefevre, Y Bohu, S Herman. 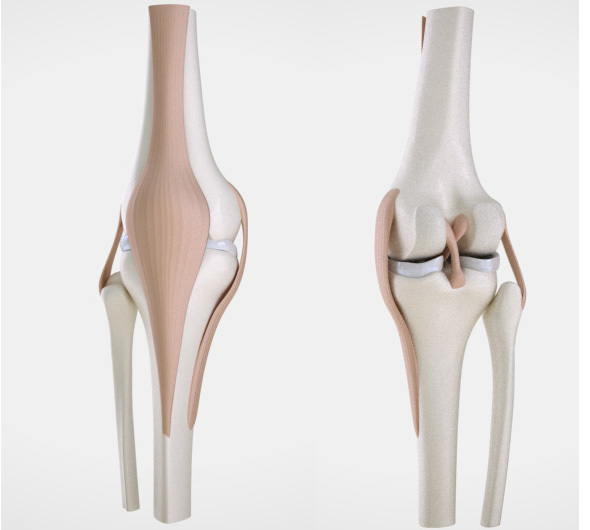 - Prospective comparative evaluation of a protocol of care in ambulatory surgery arthroscopic reconstruction of the anterior cruciate ligament of the knee. Doumbouya N, N Lefevre, Klouche S, Y Bohu, Herman S, C Devaux, R Thomas. - Interest of the clapper as indirect sign of partial tears of the anterior cruciate ligament with MRI. N. Lefevre, Y. Bohu, JF. Naouri, Klouche S., S. Herman. - High acute rupture of the hamstring tendons: about a series of 34 operated patients. Lefevre N, Y Bohu, JF Naouri, Klouche S, S Herman. - Measurement of the anterior laxity of the knee: GNRB® validation of a series of 114 patients. Lefevre N, Y Bohu, S Herman. - Clinical evaluation of a continuous series of 55 cases of partial anterior cruciate ligament by TLS® technique (short graft hamstring). Y Bohu, Steltzlen C, N Lefevre, S Herman. - The rupture of the anterior cruciate ligament during the hormonal cycle in sportswomen. To post. Bohu Y, N Lefevre, S Herman, J Lecocq. - Percutaneous endoscopic fasciotomy "All-Inside" of leg effort compartment syndrome. N. Lefevre, A. Gerometta, Y. Bohu, Klouche S., S. Herman. - Medium-term clinical results of arthroscopic treatment of pigmented nodular synovitis villo-knee. About a series of 25 patients. JC Auregan, Bohu Y, N Lefevre, Klouche S, S Herman, P Hardy. - Comparative evaluation of a prospective outpatient surgical care protocol arthroscopic reconstruction of the anterior knee ligament. Doumbouya N, N Lefevre, Klouche S, Y Bohu, Herman S, C Devaux, R Thomas. 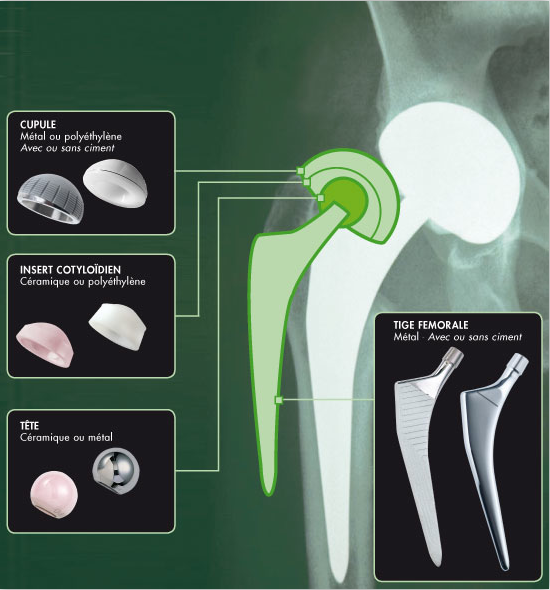 - Place debridement and arthroscopic perforations in the treatment of cartilage lesions. Lefevre N, Y Bohu, S Herman. - ACL rupture in women: a review of literature. Lefevre N, Y Bohu, Klouche S, Herman S.
- LCA PART, What treatment? Herman S, C Steltzen, N Lefevre, Y Bohu, S Klouche. - Lefevre N. Y. Bohu Herman S. Partial rupture of the anterior cruciate ligament in female athlete. - Lefevre N. Y. Bohu Naouri JF. Herman S. technology Three-dimensional magnetic resonance imaging: MRI Cube sensitivity in the diagnosis of partial ACL tears. - Lefevre N. Y. Bohu Naouri JF, Herman S. Acute rupture at the ischial origin of the hamstring muscles: a report of 29 cases of surgical repair. - Lefevre N. Y. Bohu Anterior cruciate ligament Herman S. injury: female particularity. - Lefevre N. Y. Bohu Herman S ruptured anterior cruciate ligament during the hormonal cycle in women. - Lefevre N. Y. Bohu Herman S partial tear of the anterior cruciate ligament in the female athlete. - Lefevre N. Y. Bohu Naouri JF. Herman S Surgical Management of recent ruptures hamstring tendons: about a series of 29 cases. - Y. Bohu, N Lefevre, Serge Herman. Anterior cruciate ligament tears by non-contact pivot accidents: a feminine Predominantly injury. - N. Lefevre, Y. Bohu, JF. Naouri, S. Herman. GNRB reliability for the measurement of the anterior laxity of the knee. 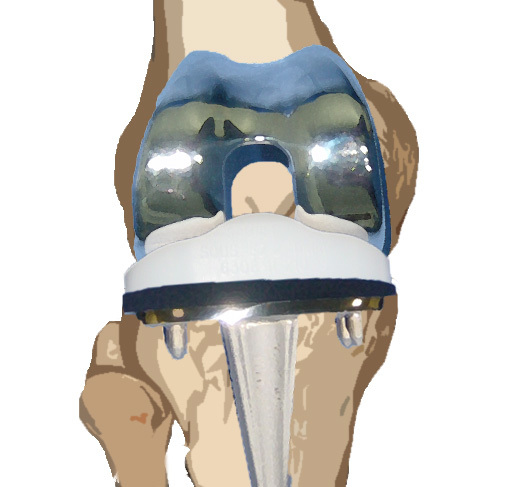 Comparison with the Telos device about 114 knee. Reliability of the GNRB for measuring anterior knee laxity: comparison with Telos in 114 knees. - C. Steltzlen, N. Lefevre, Y. Bohu, S. Herman. 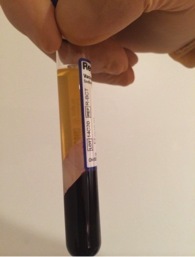 Clinical evaluation of a continuous series of 55 cases of partial anterior cruciate ligament with the TLS technique (short graft hamstring) Clinical outcome of ACL partial rupture: graft technical shorts (TLS). A study of 55 consecutive cases. - N. Lefevre, Y. Bohu, J. Lecocq, S. Herman. The rupture of the anterior cruciate ligament during the hormonal cycle in women. 2010/2011 winter ski season. Menstrual cycle phase and the risk of anterior cruciate ligament injury. Winter ski season 2010/2011. - JC Auregan, Bohu Y, N Lefevre, Klouche S, S Herman, P Hardy. medium-term clinical results of arthroscopic treatment of pigmented nodular villo-knee synovitis. About a series of 25 patients. - Doumbouya N, N Lefevre, Klouche S, Y Bohu, Herman S, C Devaux, R Thomas. Prospective comparative evaluation of a protocol of care in ambulatory surgery arthroscopic reconstruction of the anterior cruciate ligament of the knee. - Bohu Y. Lefevre N. Herman S. Patellar tendon: Anatomy and biomechanic. - Bohu Y. Lefevre N., S. Herman: prevention and management of the injury, Rich Plasma Plate in sports traumatology. - Bohu Y., P. Hardy, Rich Plasma Plate in sports traumatology. - Bohu Y, N Lefevre, S Herman. 1st episode of glenohumeral dislocation of rugby, focus therapeutically. - Y Bohu, F Khiami, Catonné Y. Plasma platelet-rich, application sports traumatology. - Y Bohu, JL Brasseur F Genet, J Renoux, Hubert L, F Rivier. Myo-fascial lesions hamstring professional rugby player: return criteria to the game. 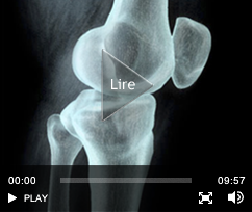 - Lefevre N. Y. Bohu Naouri JF.Herman S Interest of the Cube 3D MRI in the diagnosis of partial ACL tears. - Lefevre N. Y. Bohu, S.Herman S ruptured anterior cruciate ligament: feminine peculiarity. - Partial ACL: isolated rupture of the anteromedial and posterolateral bundle. Lefevre N, Y Bohu, S Herman. - Clinical evaluation of a continuous series of anterior cruciate ligament. anatomical reconstruction technique Dual Beam: preliminary results. Bohu Y, N Lefevre, S Herman. - Partial ACL: isolated rupture of the anteromedial and posterolateral bundle. N. Lefevre, Y. Bohu, Herman S.
- Clinical evaluation of a continuous series of anterior cruciate ligament. anatomical reconstruction technique Dual Beam: preliminary results. N. Lefevre, Y. Bohu, Herman S.
- Anterior cruciate ligament injury: female particularity. Lefevre N, Y Bohu, S Herman. 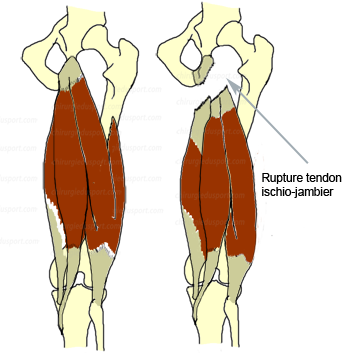 - Acute rupture at the ischial origin of the hamstring muscles: a report of 29 cases of surgical repair. Bohu Y, N Lefevre, Naouri JF. Herman S.
- Partial rupture of the anterior cruciate ligament in female athlete. Bohu Y, N Lefevre, S Herman. - Technical Three-dimensional magnetic resonance imaging (MRI Cube) of the diagnosis of partial ACL tears. Lefevre N. Y. Bohu Naouri JF. Herman S.
- A surgical original technical failures to treat neglected and reruptures of the Achilles tendon hamstring graft That wears: 5 case reports. N. Lefevre, Y. Bohu, Herman S.
- Evaluation MRI positioning of cross pins 20 reconstructions with hamstring attachments Rigid Fix, Bohu .Y, Y Catonné. - Interest of the Cube 3D MRI in the diagnosis of partial tears of LCAE. Lefevre N. Y. Bohu Herman S Naouri JF. - Partial lesion of the anterior cruciate ligament: Isolated rupture of the anteromedial or posterolateral bundle TLS. N. Lefevre, Y. Bohu, Herman S.
- "Epidemiology of trauma to the cervical spine of rugby": Institute for Research in Medicine and Epidemiology Sports, April 2007, Hotel Dieu Hospital, Paris. - 16 national teams: Team France Junior (under 19), Hope (age 21) and University.